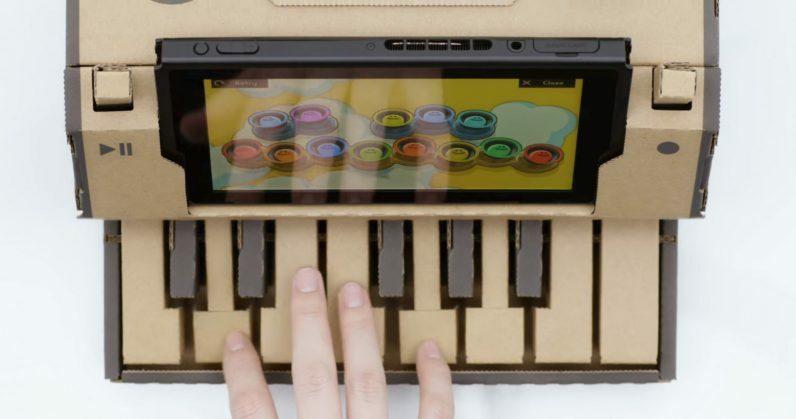 Nintendo’s Switch console is getting a cute, quirky, and seemingly ingenious upgrade that will appeal to kids and the young at heart with the launch of its new Labo initiative. The kits bundle game cartridges, cardboard sheets, string, and plastic connectors; you’ll need to follow instructions to build different accessories – called Toy-Cons – to house the controllers. You can craft a small piano, a fishing pole, or a motorcycle handlebar. These contraptions then become controllers for specially designed games to allow for a whole new experience. That sounds like a ton of fun, and The Verge seemed to have a good time with the new kits. The Variety Kit will ship with five games, including a piano and RC car, while the Robot Kit folds into a backpack and lets you control a giant robot in a city by attaching strings and things to your limbs to coordinate movement. They’ll cost $70 and $80 respectively, and will be available on April 20. I’m crazy excited about this – and equally mad about Nintendo ignoring my home country even after being in the gaming business for so long. Anyhoo, if you’re in San Francisco or New York City, and have children aged 6-12, you can sign up on this page by January 21 to score your kids a chance to try out Labo in person.